Blac Chyna wants to stay focused on her daughter, Dream. 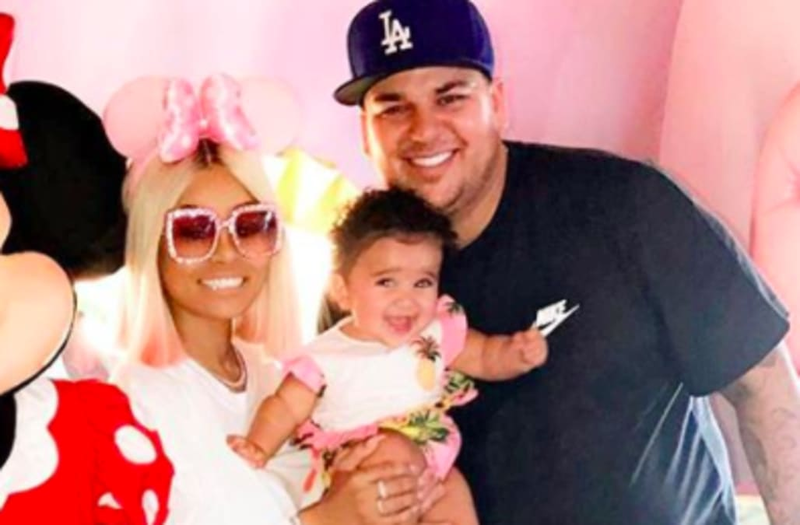 The 8-month-old cutie is currently in the custody of both Chyna and her ex-fiance, Rob Kardashian, amid her parents' on-going social media scandal. In an extended version of her Good Morning America interview, Chyna opened up to Nightline about her plans for custody of Dream, saying she does not want to seek sole custody. "I would never try to take Dream from her dad," Chyna said of her ex. "Hopefully, me and Rob can learn to have common ground and be the best co-parents as we can be." Chyna's attorney, Lisa Bloom, added, "We think that Rob should also go to anger management classes, but priority one immediately is to protect her safety." Chyna was granted a restraining order on Monday, and Bloom opened up to ET about Chyna's thoughts on Rob's involvement with Dream. "Chyna is not concerned about Dream being around Rob. She has said he's a good father, there are nannies around when the baby is with him and she hasn't had any reason to be concerned," Bloom told ET. "We did not ask for the baby to be part of the restraining order... We just want him to stay away from her and to stop cyberbullying her." During the Nightline interview, Chyna noted that she and Rob have been broken up since December, and claimed that Rob has been physically abusive to her in the past. "Rob has hit me before, yes," she said. "This was in April." As for her ex's claims that she had a baby to get revenge on the Kardashians, she noted, "That's not even my character. I see all these things on the Internet and I never address it because I'm the bigger person. Robert came at me. I was already Blac Chyna before the Kardashians." And Chyna claims she never thought about having the only child to carry on the Kardashian name, adding, "I never really thought about that until everybody else made it a big deal. I was just having a baby with the person that I care about." For more on the scandal, watch the clip below.